February 3rd, 2016-April 10th, 2016 at The New Museum, NY. The exhibition is curated by Massimiliano Gioni, Artistic Director; Margot Norton, Associate Curator; and Natalie Bell, Assistant Curator. 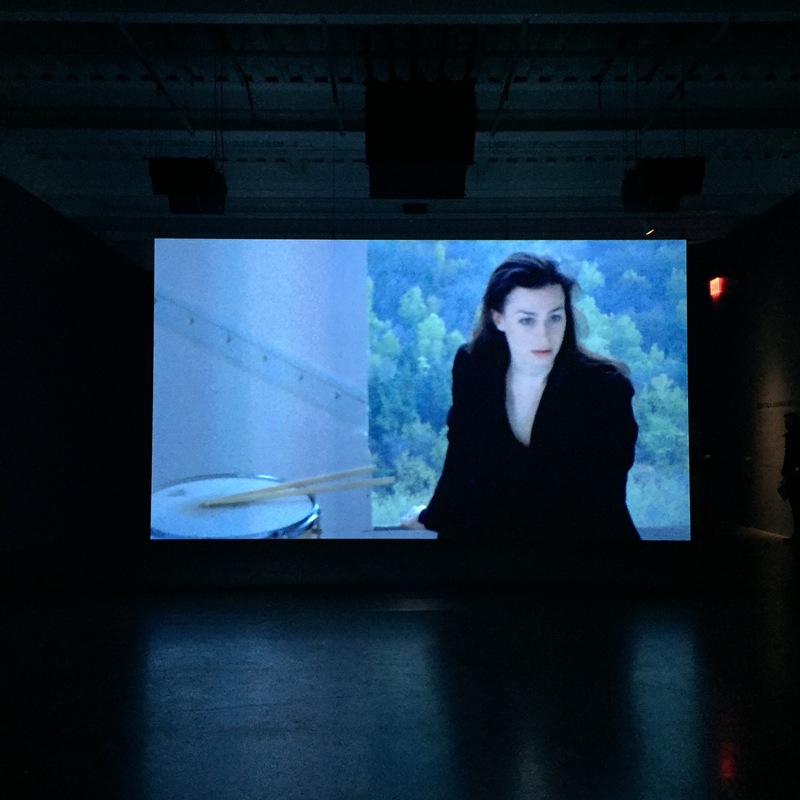 I love and admire Anri Sala’s work for years and being fortunate to be in New York for few days to see this amazing, powerful and poetic exhibition “Anri Sala: Answer Me”at the New Museum. This exhibition is brilliantly installed and is as much for music as for art people. The exhibition features extensive multichannel audio and video installations that unfold across the Second, Third, and Fourth Floor galleries, composing a symphonic experience specific tailored for the New Museum. 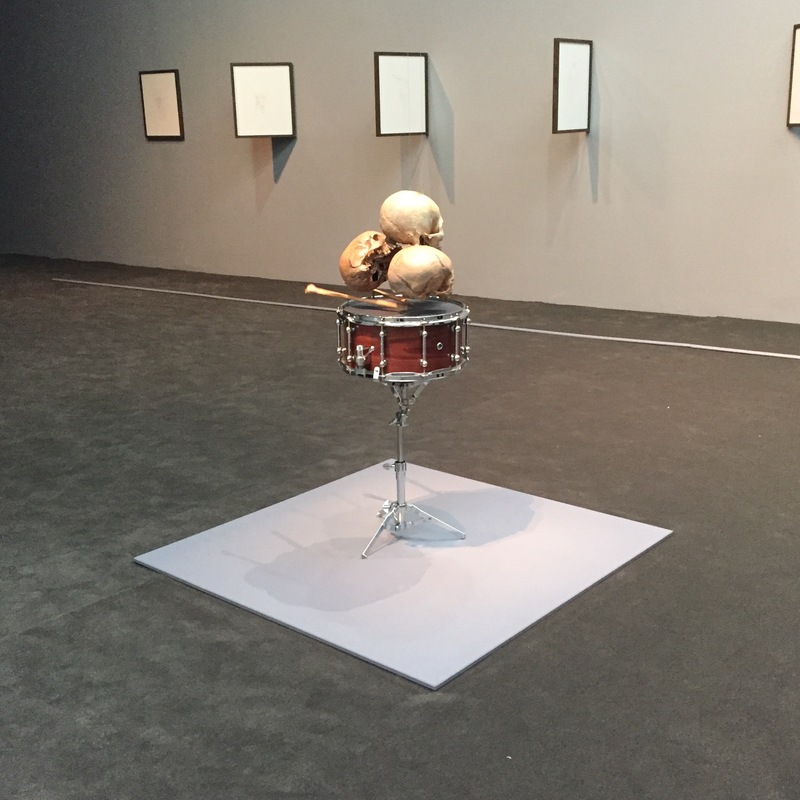 Needless to say that I visited this exhibition for 3 consecutive days; I was overwhelmed with music, elegance and melancholy but yet, Anri Sala knows so well not to impose or invade your own space. In recent works, Sala has interpreted musical compositions in multichannel video and sound installations that emphasize the perception of sound in relation to architectural spaces. This exhibition features a new spatialization of Sala’s The Present Moment (in B-flat) (2014) and The Present Moment (in D) (2014), in which he rearranges Arnold Schoenberg’s “Verklärte Nacht” [Transfigured Night] (1899) to create the sense that individual notes, abstracted from the composition, travel freely throughout the gallery before accumulating and playing in repetition as if trapped in a spatial impasse. Anri Sala, Intervista (Finding the Words), 1998 (still). Image: © Anri Sala. Courtesy Idéale Audience International, Paris; Galerie Chantal Crousel, Paris; Johnen Galerie, Berlin; and Galerie Rüdiger Schöttle, Munich. The exhibition includes the US premiere of Sala’s striking installation “Ravel Ravel Unravel” (2013), first exhibited at the 55th Venice Biennale, where Sala represented France. 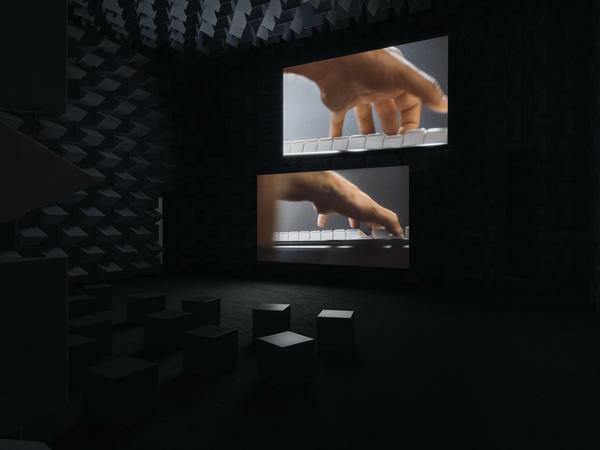 In Ravel Ravel (2013), two interpretations of Maurice Ravel’s “Piano Concerto for the Left Hand in D-major” (1929–30) are projected simultaneously in a semi-anechoic chamber, a space designed to absorb sound. (New Museum press). The second floor features The Present Moment (in B-flat) (2014) and the Present Moment (in D)(2014). 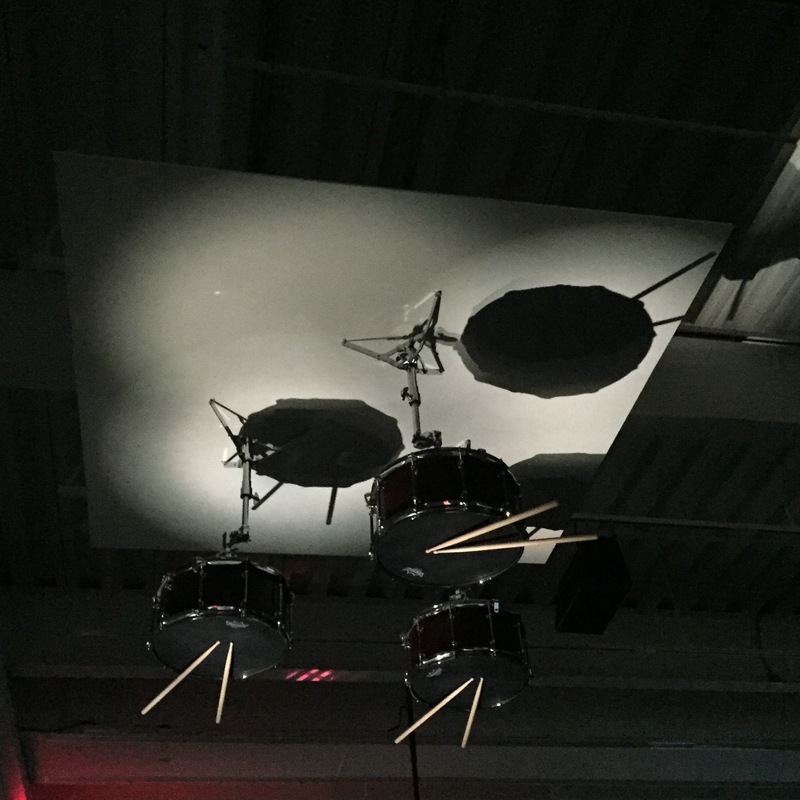 Installed together for the first time, both work reinterpret Arnold Schoenberg’s Late-Romantic composition “Verklärte Nacht”(Transfigured Night) (1899) to create the sense that individual notes, released from the original composition, travel across the gallery before accumulating and playing in repetition as if trapped in a spatial impasse. …The Present Moment (in D) debuted in 2014 at the central hall of Munich’s Haus der Kunst. 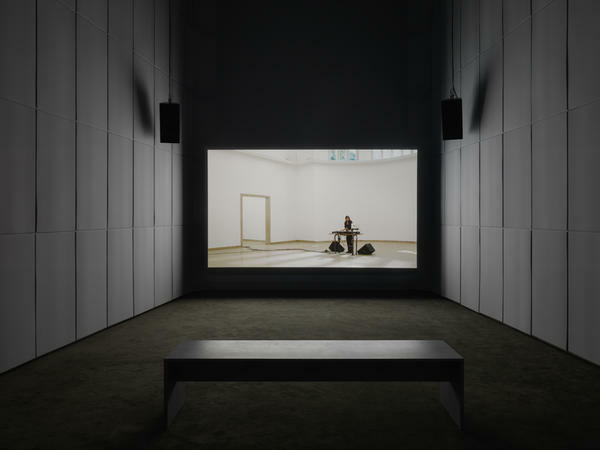 For his installation in Haus der Kunst’s central Middle Hall, Anri Sala devotes his attention to the genre of chamber music, an intimate format that – for the artist – stands in dynamic contrast to the public nature of the work presented in the expansive spaces of Haus der Kunst.